The Kimberley is a vast, remote area of north west Australia. The Kimberley region is simply enchanting, with a wide choice of accomodation from budget to pure luxury. Discover a world of amazing destinations and natural attractions in the Kimberley. The Kimberley is an area three times the size of England with so much to experience. Discover Australia's last great wilderness. The Kimberley region of north western Australia is one of Australia’s hidden treasures with an immense and complex landscape that encompasses spectacular gorges, waterfalls and cave systems, pockets of lush rainforest and an astonishing variety of wildlife. Wild and wonderful, the Kimberley is one of the world’s last great wilderness areas. Located on the northern-most part of Western Australia and covering some 421,451 square kilometres (approximately 261,000 miles), an area three times the size of England and three fifths the size of Texas, the Kimberley is home to only 40,000 people meaning that there are fewer people per kilometre than almost any other place on the planet. Learn more about The Kimberley. Discover a distinctly Australian luxury experience, like the unforgettable Kimberley coast or the limitless horizons of the Kimberley outback, all with an appreciation for the finer details, a personal connection to the landscape and an authentic sense of place. Australia's Kimberley is the perfect place to go for an authentic Aussie outback adventure. Discover the adventure that waits for you in the Kimberley. Australia's North West Kimberley region is so large and so diverse, that the only real way to experience it all is to take to the air. Kimberley is an amazing piece of Australia, surrounded by many unique and interesting towns. There are the larger towns of Broome and Kununurra, interspersed with smaller villages, such as Derby, Halls Creek and Wyndham. With the growth of industry and tourism, many of the towns have developed an interesting character and charm. Washed clean every day by tides that can reach over nine metres, Cable Beach is renowned as one of the most stunning beaches in the world, with twenty-two kilometres of pristine white sands and all the space you could desire fringing the fresh clear, turquoise waters of the Indian Ocean. See more of Cable Beach. The Kimberley is a vast and pristine area with so many unforgettable places to explore. Take a trip into Purnululu National Park where you will marvel at the thousands of huge beehive-shaped mounds of the Bungle Bungle. Other attractions include the Devonian Reef, Fitzroy Crossing and Wolfe Creek Meteorite Crater. The Ord Valley Muster started from humble beginnings in 2001. Held during May each year, the Ord Valley Muster features an outstanding line-up of concerts and activities for the entertainment of Kimberley residents and visitors to the region. Kimberley Australia is a 'Web Magazine' website that is dedicated to all things related to the Kimberley region. We are passionate about Australia's last great wilderness, its golden sun baked beaches, its warm welcoming outback and the unforgetable experiences that are waiting for all who visit. Our aim is to discuss the Kimberley region, its history, its environment, its wildlife and its spectacular destinations. 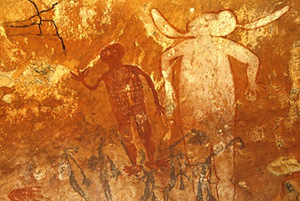 We hope that this website will inspire all who visit the Kimberley.